In the comic books, Bullseye’s origins are unknown or vaguely suggested: one such origin is that he was a burglar named Benjamin Poindexter, who eventually worked for the Kingpin. Netflix’s version of the character is a riff on that: during the panel, actor Wilson Bethel — who plays “FBI Agent #2” confirmed that his character will become Bullseye. Marvel Television’s own Jeph Loeb notes that the character won’t start out as Bullseye. Rather, the Kingpin (Vincent D’Onofrio) will corrupt the FBI special agent, and will manipulate him into aiding him in his vendetta against Daredevil. Once Agent Poindexter “earns” the character, Loeb noted, it would be revealed to the viewers. 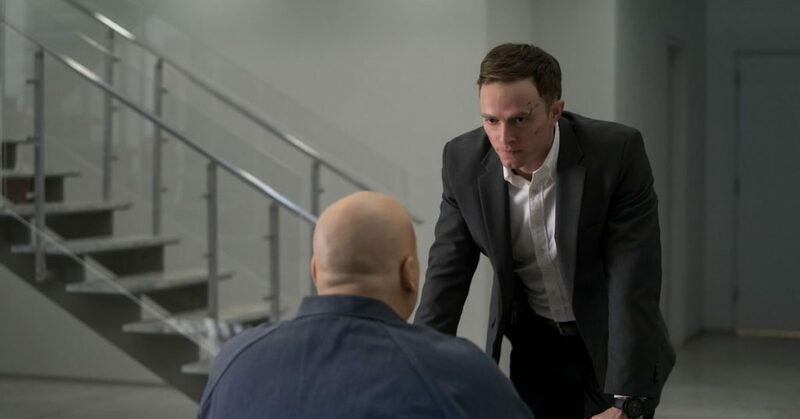 Poindexter’s transformation into Bullseye and manipulation orchestrated by Fisk will throw the existing relationships between Matt Murdock / Daredevil (Charlie Cox) and his allies into chaos, as he frames Daredevil for a series of violent attacks. Bullseye has been seen on screen before: in the 2003 Ben Affleck film Daredevil, he was played by Colin Ferrel, who was hired by the Kingpin to kill the father of Elektra Natchios. Bullseye appears in an end-credits scene in the film, setting up for a potential sequel, but after the film and its spinoff Elektra were almost universally panned, it never moved forward. The third season of Marvel’s Daredevil premiers exclusively on Netflix on October 19th.